Englewood area Single Family Home only $25,000. Estimated after rehab value $107,000. Frame, 5 bedrooms, 1 bath. 1,250 sq feet, unfinished basement. 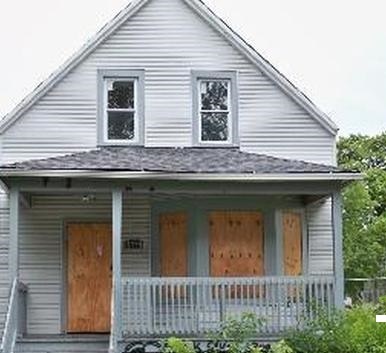 Property needs rehab, new garage Property can rent for up to $1,850 per month after rehabbed. It's the little house that could w/ just a little bit of love. Large house with good bones and room to grow. Sold "As-Is", no disclosures, no survey, 100% tax pro, Buyer is responsible for any city repairs or escrows. Proof of funds or pre approval w/ all contracts. Cash deals due to condition.